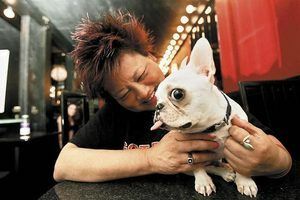 Ginger’s Pet Rescue was featured in the Seattle Weekly feature story “Pet-Rescue Underground Railroad Won’t Leave a Dog Behind” by Brian Miller and Huan Hsu. The full story provides an in-depth look at Western Washington animal rescue, and is worth reading in full here. Among the many rescue coordinators is Ginger Luke, whose HQ is the Rickshaw, a Greenwood restaurant and karaoke bar she’s run for 30 years. There, she sends and receives about 500 e-mails a day. She founded her rescue group a little more than a year ago, and counts 231 “saves” in 2006. She’s constantly expanding her network of contacts, now about 2,000, and bombarding them with breathless e-mails (“An Urgent Dalmatian Plea!”). 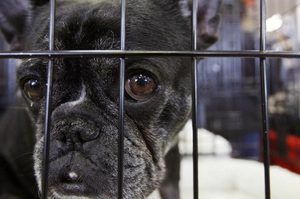 Increasingly affluent and childless, Seattle has a large number of animal-rescue volunteers willing to take unwanted dogs into their homes for months and even years at a time. “It’s kind of a treadmill,” says Luke of the constant rescue-foster-adopt cycle. Municipal shelters have limited means to check on how the independent rescue groups are ultimately placing animals. Basically, anyone can file the papers to be a rescue organization, then use a virtual network to move the inventory around. You can be as visible or sneaky as you want to be, taking no-kill to its absolute limit, where no dog gets put down for any reason, ever. 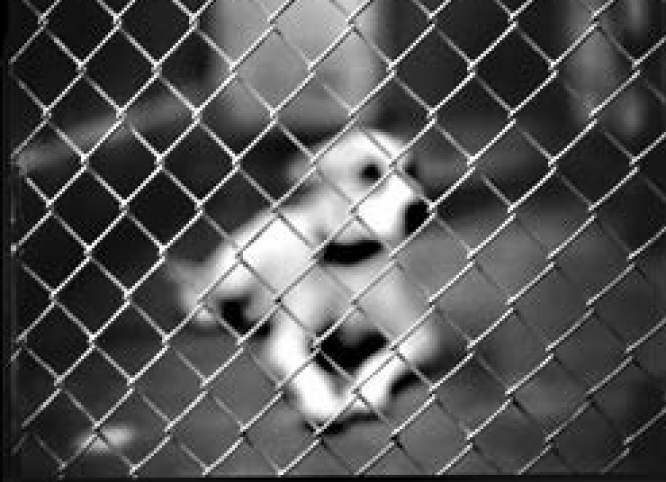 Outside the city or King County, where you can build your own kennel or sanctuary, there’s even less scrutiny or oversight. Shelter transfers like Jake frequently arrive with neither name nor identification, much less clues on temperament and behavioral history. Deciding the breed isn’t much more than an eyeballed estimation based on the dog’s major features. The Bellevue shelter staff hands out names depending on their moods; the dogs sometimes end up named for uncles and old boyfriends. “We once had a litter of [female] puppies that we named after the Brady sisters,” says Morgan Faber, a Bellevue staffer. Dogs typically go through a behavior test at intake. The shelter staff checks for aggression in a variety of settings, such as with other dogs, children, and cats. To test how a dog will react to threats to its food, they use a mannequin arm to grab its food bowl during mealtime. A dog’s life hangs in the balance of this examination; failing brands the dog as unadoptable. With certain breeds, such as pit bulls, even a whiff of aggression can condemn the dog to death. 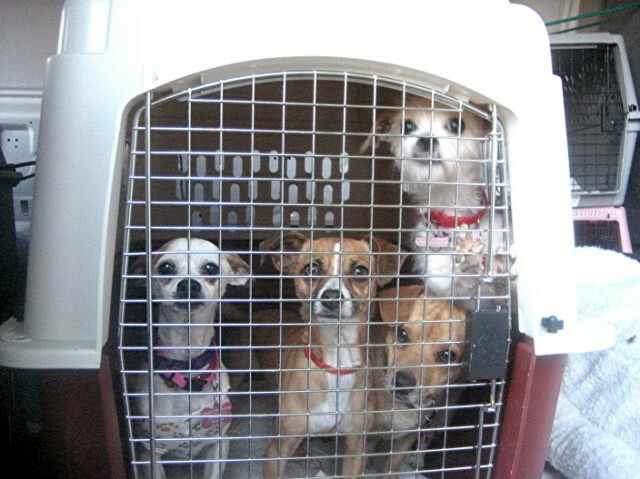 Dog rescue can be like an underground railroad that never quite reaches the station. Take Hector, a pure, proud, exuberant mutt, about two years old, who looks to be a cross between a pit bull and/or a German shepherd and/or a Labrador retriever. Julie Shaup, a young, enthusiastic nurse living in Mountlake Terrace, agreed to foster the dog after hearing about him through Luke. “He tends to jump up,” she says by way of apology, as a visiting journalist repeatedly removes paws from his chest. Indeed, the high-energy Hector has a tail that could knock over small children—as his Petfinder page truthfully discloses (cats are also a no-no). Hector’s story began in Longview, in the southwestern part of the state. “He was an unclaimed stray,” Shaup says. “He’d been scheduled for euthanasia, and Ginger asked me if I’d foster him. He was not housebroken. He covered my house with pee.” Another dog she was fostering accidentally bit Shaup; she shows the scar on her arm. Hector gets marketed on meet-and-greets, arranged by Ginger’s Pet Rescue, with prospective adopters who’ve selected him from his Petfinder photos and description. (“I respond very well to positive reinforcement, and I am a pleaser.”) A bit like Match.com? “Yeah, it is,” says Shaup, who must act as chaperone on these blind dates. But, alas, love has still not struck: In late January, Shaup surrendered Hector to a new foster family in Sammamish, where he could have full-time care. He’s still up for adoption on Petfinder. “I know I’ve definitely put more money into it than anticipated,” Shaup says. “There’s supposed to be some sort of reimbursement.” Another volunteer she knows dug herself into a financial hole with fostering, then had to borrow money for the mortgage. If anything, the 58-year-old Luke seems energized by her dog-centric routine, splitting 20-hour days between the restaurant and her rescue operation. “I believe if your heart is in it, you have time to do what you want to do. I love to be busy.” Indeed, she’s a woman who types, talks, and thinks with exclamation points. That sense of urgency and compassion may stem from the fact that she survived a 1981 armed robbery at the Rickshaw, when she was shot three times. She endured four years of rehabilitation—wheelchair, crutches, cane—before she could walk normally again. She got a second chance. The parallels are hard to miss.